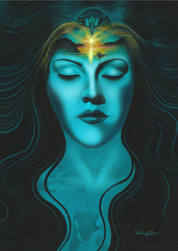 First Nations Native Artist Darlene Gait. 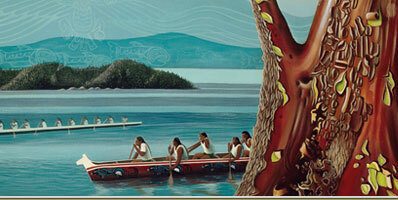 Darlene Gait is a contemporary Coast Salish First Nation's artist born in Vancouver Island in the Canadian North West. Her art is collected and exhibited internationally, as well as in a permanent display at her One Moon Art Gallery on the Esquimalt Nation Reserve, in front of the traditional Big House. 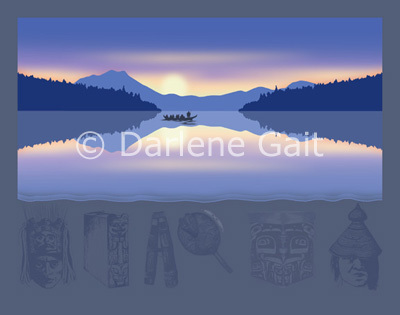 Darlene's paintings are known as inspiring and spiritual as she focuses and shares the beauty of the North West Coast landscape, its wild life and the indigenous art of the Native Canadian people whose heritage she embraces in her paintings and poetry. 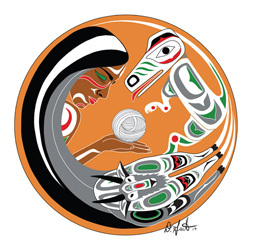 Through her art Darlene Gait represents the beauty of the North West and its aboriginal people while also showcasing the traditional iconographic images of the art of the Coast Salish first people of the North West Coast. 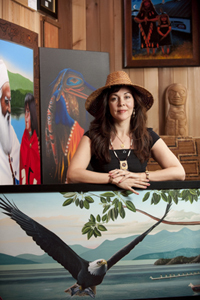 Her paintings are a visual feast of such art forms as Salish totem poles, native Indian mask carvings, bent wood boxes, bead work, dream catchers of the Esquimalt, the Quw’utsun, the Kwakwaka'wakw, the Pauquachin, the Tsarlip, the Songhees, as well as many other Coast Salish Nations living in the lower mainland as well as Vancouver Island. Gait's art represents her people wearing native regalia, dancing at the potlatches, gathering berries in hand-made cedar baskets, wearing cedar hats and clothing, playing their traditional native drums and rattles, celebrating the traditions, music, dancing, feasting and gift giving at Potlatches, and canoe making and racing by the aboriginal people of the North West Coast. read more .  . .
the Esquimalt First Nations Native Reserve in Victoria, British Columbia Canada. For directions to the Gallery, click here. ©Copyright Darlene Gait 1998 - 2011. All rights reserved. No image may be partially or totally reproduced for any purpose without the express consent of the artist.